There really isn't that much for me to say about the second episode of Guardians of the Galaxy; my main take out of the movie is that this is clearly a sequel, and a sequel designed to bring forth more sequels at that. Looks like there will be Guardians of the Galaxy movies produced till well after your grand grand children leave this earth. Not that there's anything wrong with that, because as far as space adventures go, Volume 2 is a delightful mix of action of the shallow but fun type. Produced at Hollywood blockbuster production values grade, this one is as fun as; or rather, as they say, awesome! 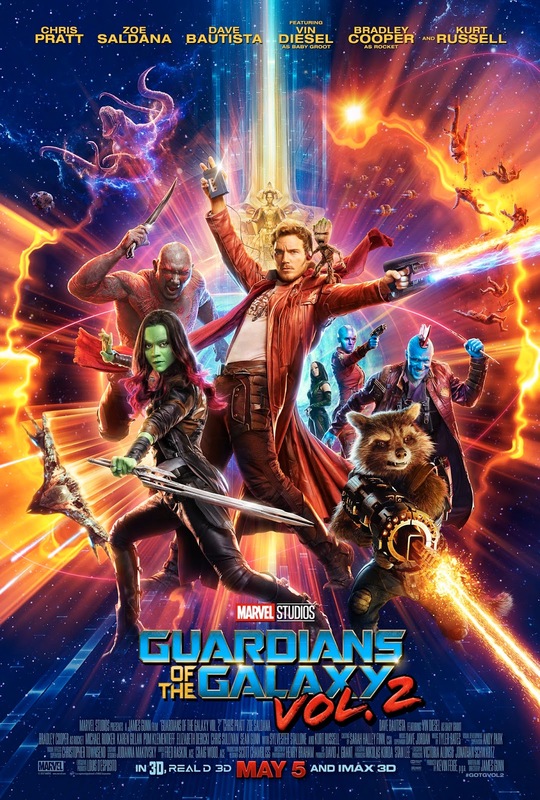 The plot involves Star Lord's (Chris Pratt) encounter with the father he had never known (Kurt Russell), but it is actually more about the personal interactions between the Guardians' crew. To put it simply, they find things about one another. If there are any surprises, these involve Pratt's brick like acting. Which is a surprise, given he was fully able to act in previous movies of his, and given others (say, Zoe Saldana) show no signs of similar infliction. On a personal note, I will add I quite like having the character of Nebula back; I think she is, by far, my series' favourite. Overall: Shallow as, but what's wrong with having some fun between all those suns? 3.5 out of 5 crabs. P.S. The soundtrack isn't half as good as the first episode's. So white bread music it's not even funny.